Possibly one of kids’ favorite holiday characters, the Grinch from Dr. Seuss’ famous Christmas story will be a great way to get in the holiday spirit. You are invited to join the Grinch for festive stories and songs at Daviess County Public Library on December 18 at 2 and 6 p.m. The event is for children and their families. Registration is required. For more details, visit dcplibrary.org. The only light show in North America that tells a story, Santa Claus Land of Lights the adventure of how Rudolph learned to fly and eventually led Santa’s sleigh on that foggy Christmas Eve. 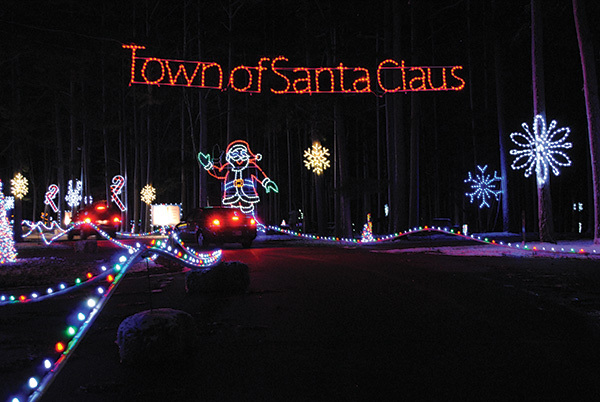 Located in Santa Claus, Indiana, the 1.2-mile drive is lit with over 300 light displays, some 30 ft. tall and over 100 ft. wide. In its 10th year, this custom outdoor light show was enjoyed by approximately 40,000 guests in 2017, a record year for attendance. Every vehicle receives a free photo with Rudolph! The display opens Thanksgiving night and then Nov. 23 – Dec. 9 (Friday, Saturday and Sunday nights); Dec. 14 – Dec. 30 nightly (closed Christmas Eve and Christmas Day) from 5 – 9 p.m. View complete operating schedule online at SantaClausLandofLights.com. Children of all ages will enjoy the monumental tree displays at OMFA — 15 in all! This year’s theme is “A Bluegrass Christmas,” which each tree will complement. The festival opens Nov. 11 and runs through Dec. 31. 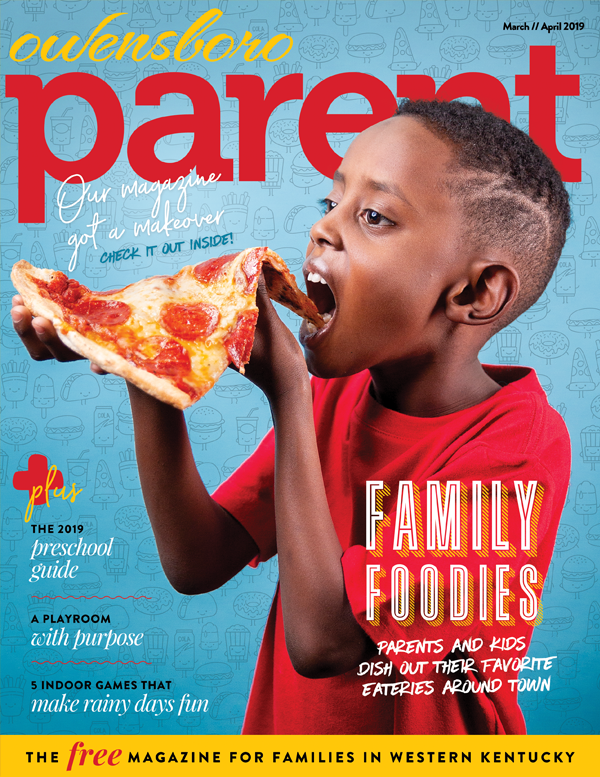 Museum admission for adults is $3 and children is $2. 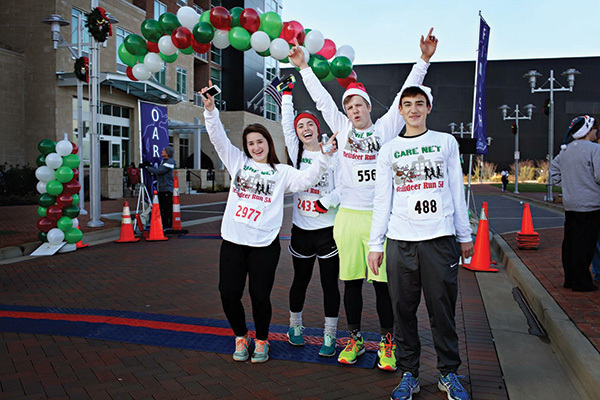 This December 1 event is open to runners and walkers of all types. Families welcome! Work groups/teams welcome! School teams welcomed! Participants are encouraged to come dressed in Christmas attire — ugly sweaters, Santa hats, bells, fun socks, etc. Prizes will be awarded to best dressed and various race winner divisions. Visit with Santa, enjoy hot chocolate and win prizes as Care Net helps Owensboro kick off the Christmas season. Entry fee of $25 includes a long sleeve t-shirt and entry for door prize drawings. Family discounts available. Some restrictions apply. Visit RunSignUp.com for registration details. Nothing says Christmas in Owensboro more than the annual Holiday Stroll. Families flock downtown for the lighting of the Christmas tree in Smothers Park, local shopping, caroling and a kid favorite — the Elf on the Shelf Scavenger Hunt. The Holiday Stroll will be from 3 – 6 p.m. on December 1. See full details on the City of Owensboro Facebook page. 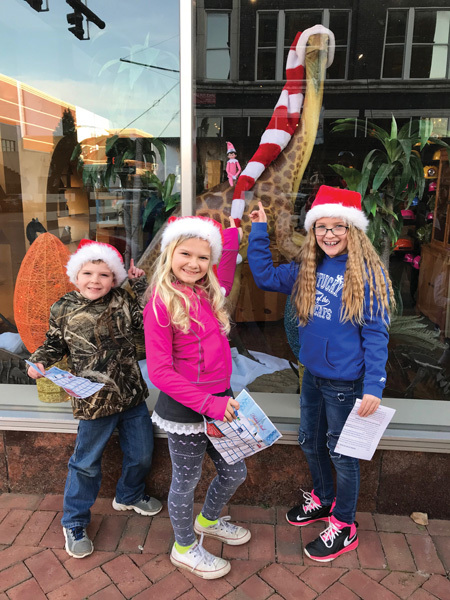 Your child will love to meet Santa, Mrs. Claus and Prancer at Owensboro Museum of Science and History on Saturday December 1. Stop by the museum between the hours of 10 a.m. – 3 p.m. and 4 – 7 p.m. Your family can even meet Prancer’s companion, a miniature horse for the children to pet. Be sure to bring your phones and cameras to take photos! 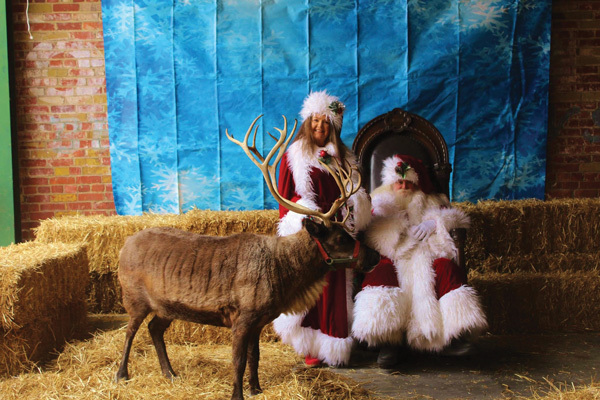 Cost: Normal museum admission from 10 a.m. – 3 p.m. with the reindeer experience included in admission. Between 4 – 7 p.m. during Holiday Stroll cost is $5 for the Reindeer Experience, but no museum admission is charged. You won’t want to miss this opportunity — last year 800 people came to OMSH for the Reindeer Experience. 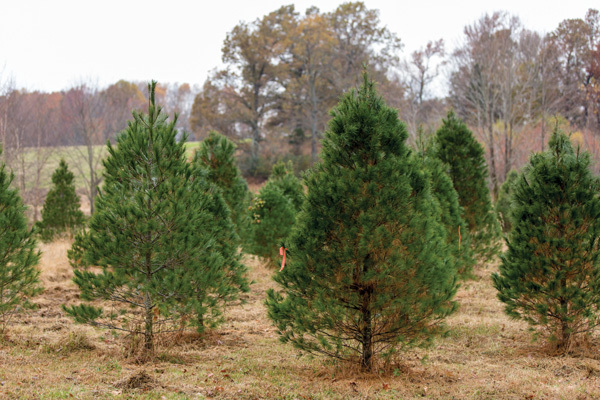 If your family wants to opt for a real Christmas tree this year, you must visit Hilltop Tree Farm. They have already cut trees or families can go out and cut their own tree — they even provide the saws. They will open the Friday after Thanksgiving, but act fast — they were sold out by December 4 last year! 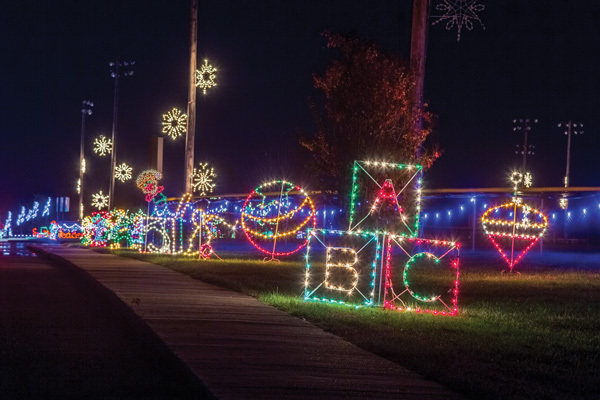 Enjoy over 100 displays and 500,000 lights as you drive through Panther Creek Park located at 5160 Wayne Bridge Road. Christmas at Panther Creek is open nightly, Friday, Nov. 23, 2018 through Wednesday, Jan. 2, 2019, from 6 to 9 p.m. Cost is only $3 per vehicle and will support five Daviess County non-profits. Wagon rides are available nightly. There is no better way to kick off the Christmas season than with this community tradition. The theme for this year’s parade is “Our Christmas Wish” and is set to float through downtown Owensboro on November 17. 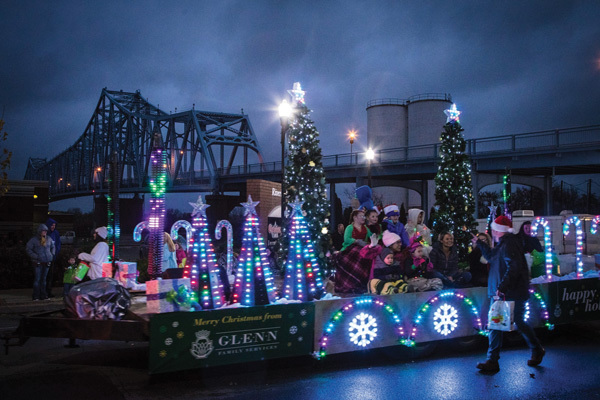 With an expected 120 floats and other entries, the 82nd annual Owensboro-Daviess County Christmas Parade is the first and largest Christmas parade in the tristate area. The reigning Miss Kentucky Katie Bouchard will serve as Grand Marshal of the parade. Why not two parades? The Whitesville Christmas Parade is Dec. 8 from 11 a.m. to 1 p.m. in downtown Whitesville. A Very Merry Holiday Pops! returns with an all-new concert featuring holiday favorites, timeless classics, fresh new works, majestic choral music with the Owensboro Symphony Chorus and a sing-along to familiar carols. Come hear all your favorites on December 15 at RiverPark Center. From Sleigh Ride to The Polar Express, it’s one of Owensboro’s most festive holiday events for the entire family! Everyone’s favorite holiday classic comes to life in the all-new touring production A Charlie Brown Christmas Live on Stage! Join Charlie Brown, Snoopy, Lucy, Linus, and the whole Peanuts gang as they produce their own Christmas play and ultimately learn the true meaning of the season. 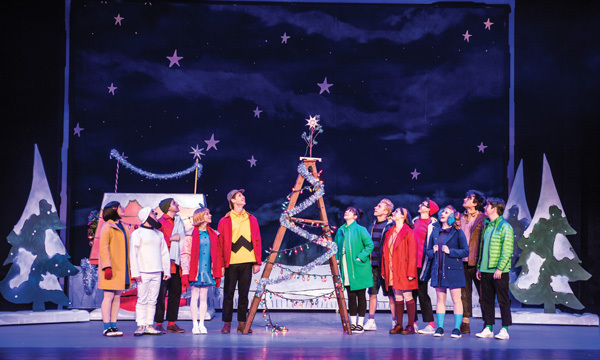 A Charlie Brown Christmas Live On Stage is a present the whole family can enjoy! Mark your calendars — this event will be the perfect start to Christmas break. Audience members of all ages will find the joy of Christmas through the beauty of music and dance with “The Nutcracker,” based on E. F. Hoffman’s tale. Owensboro Dance Theatre is still bringing new and innovating tricks and technology to the stage on December 1 in RiverPark Center’s Cannon Hall. The audience will enter Marie’s dream, experiencing all the magic and wonder with a flying bed, levitating Arabian dancer, and more with special flying effects from ZFX. Owensboro Dance Theatre’s original version is unlike any other, with dance forms including: ballet, jazz, and tap. Audiences will be thrilled by the expertise, grace, and beauty of several professional dancers from across the country, over 150 community members, as well as ODT Company and Apprentice Company.